Technical skills are incredibly important to have in today’s workplace. Computer skills, such as typing, data entry, and familiarity with Microsoft and Apple programs, are always necessary for even entry-level jobs. Improving those skills can broaden your job into a career and set you up for continued success! However, there are other tools you must have to do well in the workplace. Job skills help you manage conflict and interact effectively with colleagues and family, and are just as necessary as technical skills. Not everyone possesses these skills, but learning them can lead you to a happy and productive life. 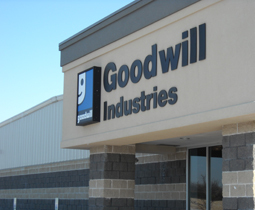 Goodwill Industries of Central Illinois provides classes for residents of Peoria, IL to learn these skills, and pass them on to others as well! The technical skills you learn in school can get you a job and help you build a career. However, it takes more than just computer knowledge or proficiency in writing to maintain your career path. 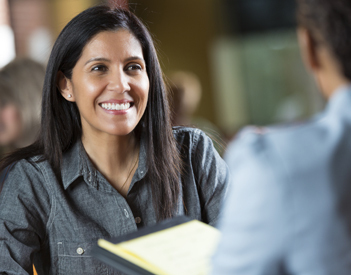 Communication and personal development skills are also essential to your career advancement. Professional Writing – A review of strategies for effective workplace writing. Social Media – An introduction to modern social media platforms and how to properly use them. Resume Writing – A course covering exactly what you should include on your resume, and how to write a great cover letter! Interviewing – The basics of what to say (and what not to say!) in a job interview. Career Exploration – Before you get your resume together and prepare for the interview, you have to know what career path you want to go down. We help you find out in this class. A full list of courses is available online on our calendar. Goodwill Industries of Central Illinois aims to teach these skills to residents of Peoria, IL and Central Illinois. It’s our mission to support and strengthen our community through our courses, job preparation, youth programs, and veterans’ services. For more information on our job skills training in Peoria, Washington, Pekin, East Peoria, Canton, Macomb, Morris, Kewanee, Galesburg, and Peru, visit www.goodwillpeo.org!